The American Gamelan Institute, founded in 1981, supports and documents Balinese and Javanese gamelan music in Indonesia and around the world. Their site includes audio links, scores, directories of gamelan groups, a library of resources, and a link to a scholarly journal (Balungan). Primarily for tourist audiences, this site provides basic information on the dances that accompany Balinese music, including the Barong and Rangda dance-drama and topeng masked dance. An introduction to the musical ensembles and instruments of Bali. 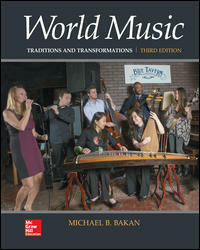 Includes photos and audio clips. Part of the Connexion Creative Commons series in support of music. Website of the leading Balinese gamelan performance organization in North America, based in Berkeley, California. Their site provides links to informative articles, reviews, audio, video, interactive media, and resources for further study and research. 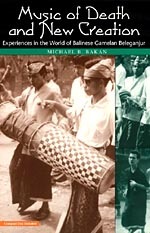 Provides information on the history, functions, and beliefs connected to Balinese and Javanese gamelan. Includes audio links. From Northern Illinois University. 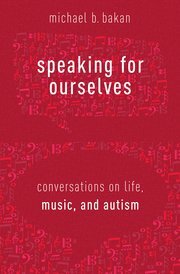 An introduction to the basic elements of the music, with some suggestions for informed listening. Part of the Connexion Creative Commons series in support of music. An association established in 2000 to preserve Balinese classical dance and gamelan. Their website provides information on gamelan, instruments, and dance styles and forms. Audio links to instrument sounds and performance are included.